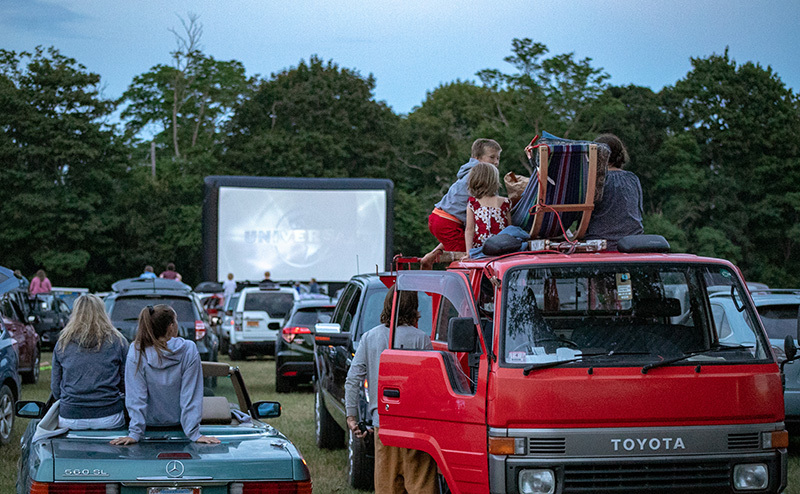 Island embraces first ever drive-in movie. 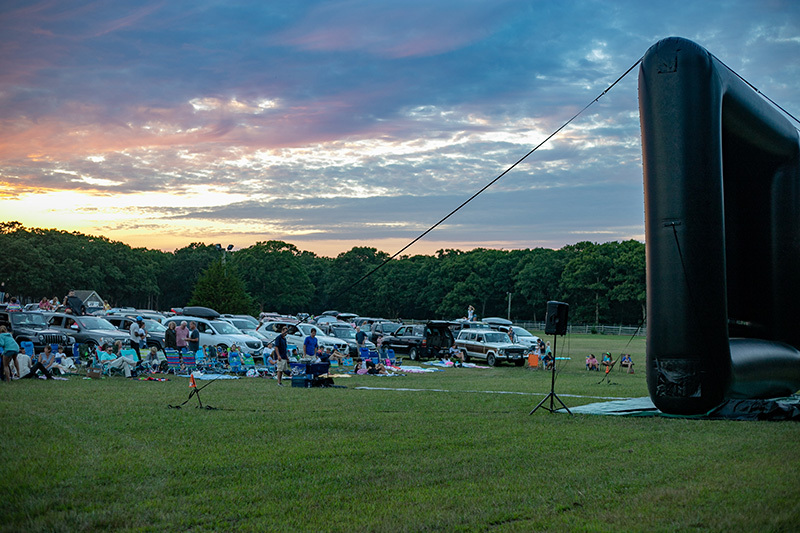 Over 250 cars tuned into station 88.1 FM last Tuesday, July 31, for the first ever drive-in movie screening on Martha’s Vineyard. 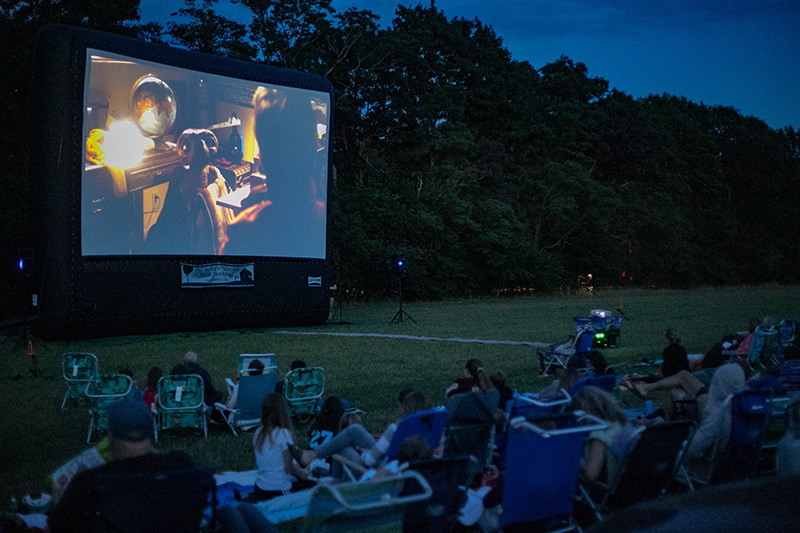 A 40-foot inflatable screen projected the film “E.T. the Extra Terrestrial” under a sea of stars in the field outside the Ag Hall. 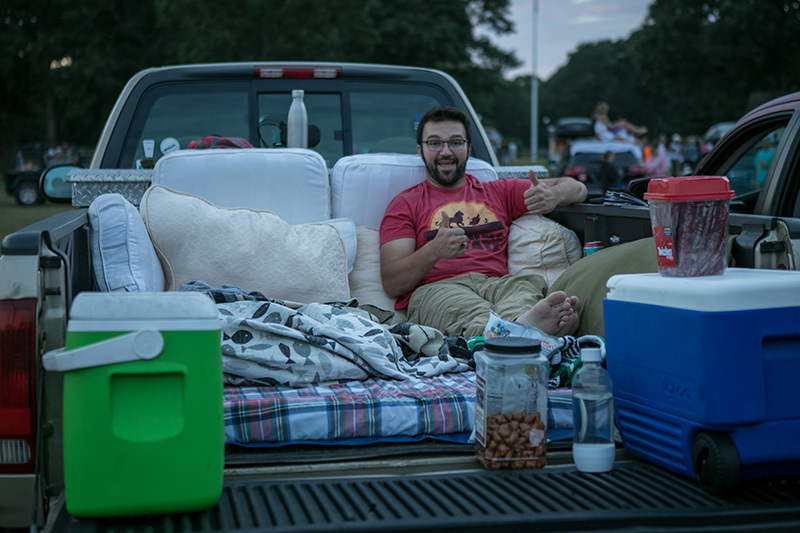 Crowds huddled under blankets in truck beds, set up chairs on top of cars, and had picnics in the grass. 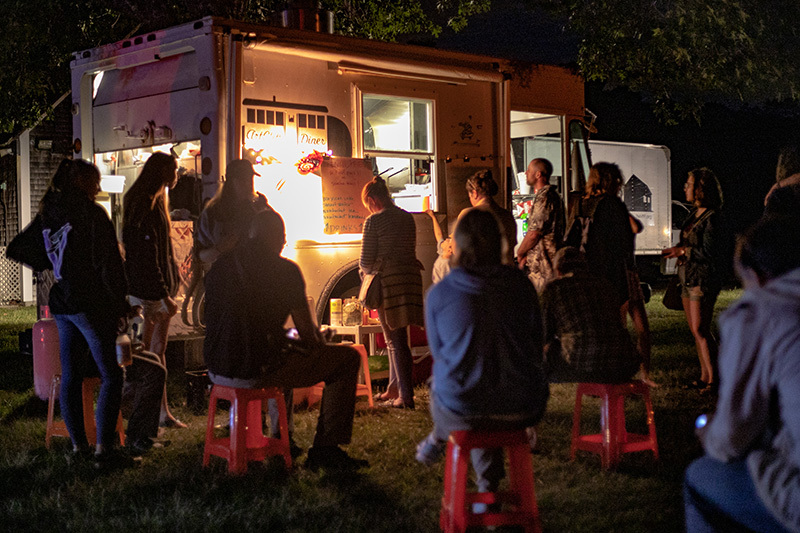 A steady line streamed out from Island food vendors like the Art Cliff Food Truck and Not Your Sugar Mamas. The film screened for about two hours. 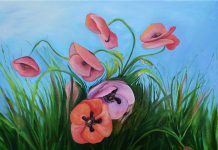 The summer air was warm, and the sky was alive. 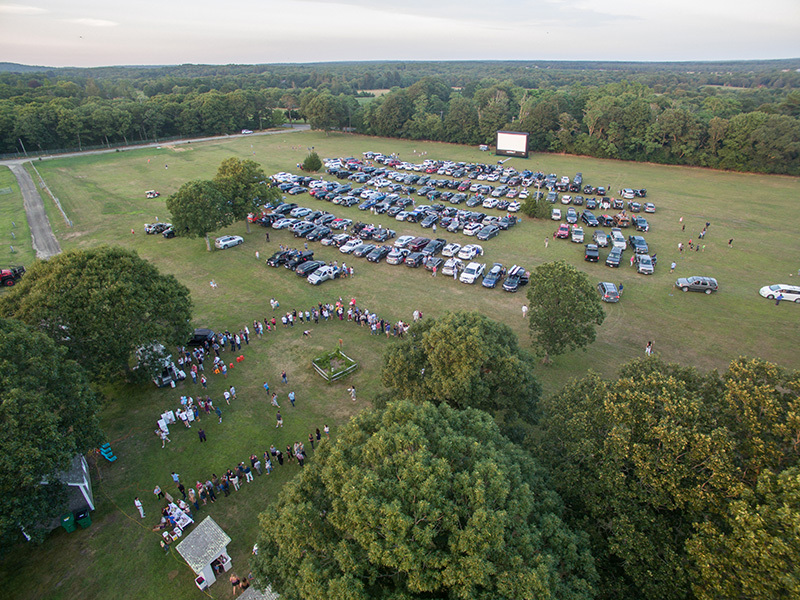 It was thanks to two Island nonprofits — the Martha’s Vineyard Film Festival (MVFF) and the Martha’s Vineyard Agricultural Society. “It’s something we’ve been trying to do for years,” said Thomas Bena, founder of the MVFF. The event was a fundraiser for the two groups. Tickets were $60 per car, which included five people, and $15 per walk-in. Neither group is expecting to make much of a profit this first go-around, and they’re OK with that. Both groups see this as becoming an annual event, and a worthwhile fundraiser. So far, feedback’s been positive. 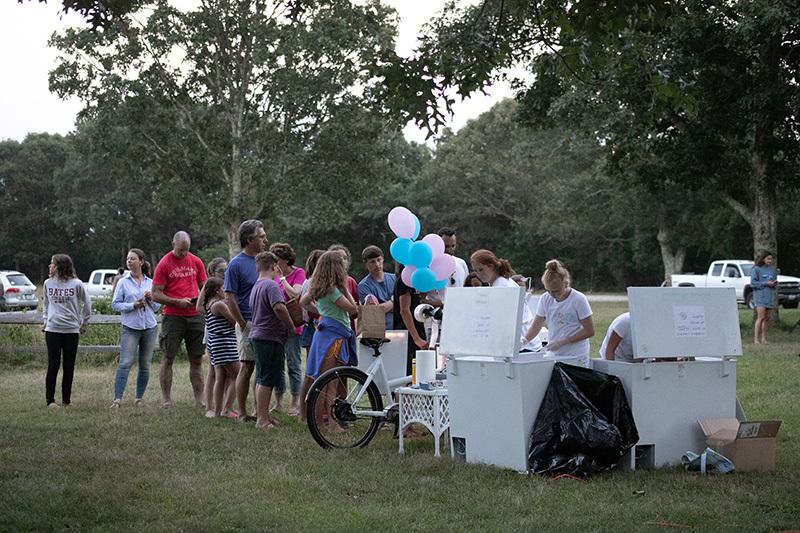 According to the two groups, more goes into planning a pop-up drive-in than one might expect. Ditchfield predicted there were about 1,100 people at the event, and staffers were turning away cars by 8 pm showtime. So why the 1982 sci-fi drama? 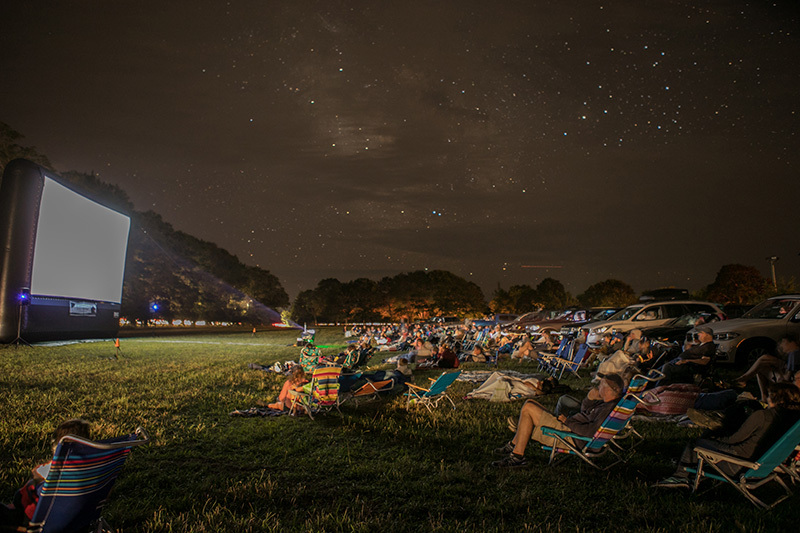 The MVFF and Ag Society made a long list of classic films, then polled each other, friends, and family. In the opening scene of “E.T.”, the sky is clear, a little cloudy, colorful, and nearing sunset. Athearn noted it nearly matched the sky at the Ag Hall that night. “It was a nice harkening to the movie,” he said. 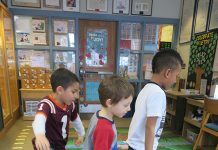 This was the second fundraising collaboration between the two groups. 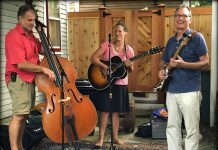 The first was an early June screening of “A Painter Who Farms,” a film about local artist and farmer Allen Whiting. For more information on the Ag Society and the MVFF, visit tmvff.org or marthasvineyardagriculturalsociety.org. Previous articleRemembering James Fair Jr.